BANGALORE.JAN.19: The Chief Minister of Karnataka Shri. 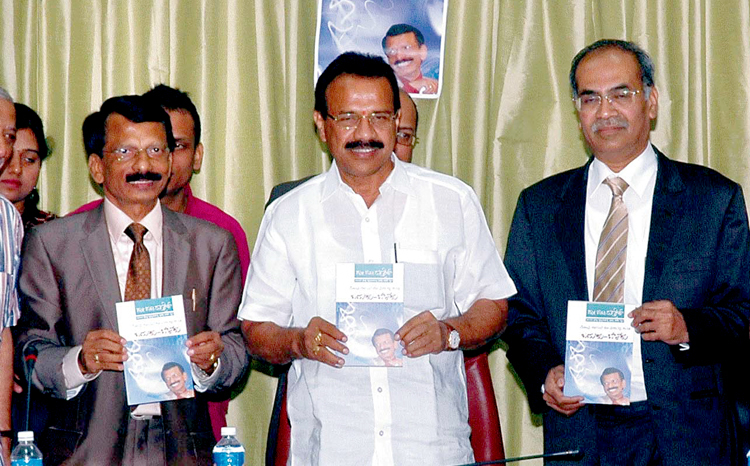 Sadananda Gowda released the fifth edition of book authored by Dr.B.T.Rudresh at his residence. Dr. K. S. Sriprakash, the Vice Chancellor of Rajiv Gandhi University of Health Sciences is also seen.